If you have any interest in the web-development industry, you will find that there are countless entries on the internet about Search Engine Optimization (SEO) - from so-and-so hot SEO tactics to the best SEO practices, and so on. There are also tonnes of blogs and websites like Search Engine Land, SEOmoz etc that provide SEO tools, guides, tips, and more. But can you learn all about SEO from these sources? For a person working in the SEO industry, or working as a SEO, is it necessary for him to have a blog or a website? Have you learned something about SEO that you wouldn't know if you haven't had your own blog? Most people create a blog to create an outlet to their thoughts, or to share content with friends, family or the world. But there's a lot more to blogging than meets the eye. When you create a blog or a website, you step into a whole new mind-set of a webmasters, and basically get a new perspective on the whole 'SEO' for websites. If you're only working on reducing spam, then you will always look at the bad things out there, and how to reduce them. To be fair, you have to look at the other perspective as well, i.e. look at the good content out there as well, and work for its enhancement. 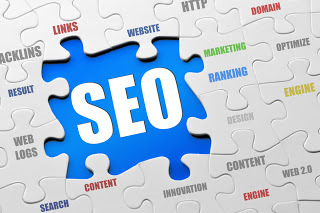 It is the natural instinct of people to want to get a higher ranking in search engines, and to make their content available to the whole world. It doesn't mean that they are spammers, and should be cast aside. Instead, they should get an opportunity. It's a natural instinct to want to do better. If you have a blog or an online presence, you'll definitely learn a few things you can't learn otherwise. For example, if you make a list of 'top 10 such and such things', you'll get more clicks etc. You also learn about keyword selection, how to write a proper title, what things are more popular (such as iPods, Chrome extensions etc). It's always helpful to actually see all stuff in action, and not just learn about it in an academic way. Very Nice and Understandable Post Qasim Bhai. I am missing Muhammad Bro an waiting for his posts too. Great video you have shared through your post and I would love to read more as it was very informative.